I found this antoninianus of Valerianus I.
I see a sort of three pellets around the neck... it's a normal bust type? It is a part often seen on draped and cuirassed busts (tie ?). 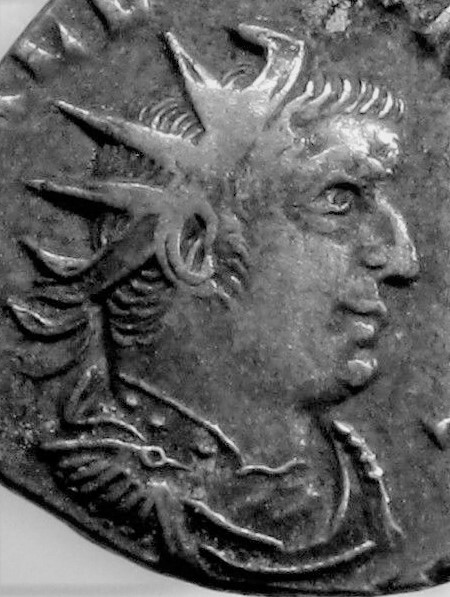 Another example from Constantine's coinage. I haven't seen it before in others bust of Valerian! Ce type de décoration de la cuirasse se rencontre rarement sur les antos...une variété de graveurs qu'on peut voir sur des antos de Gallien et sur certains plus "élaborés" de Probus par ex...jamais vu encore chez Valérien...on peut voir la monnaie avers revers si c'est possible ? 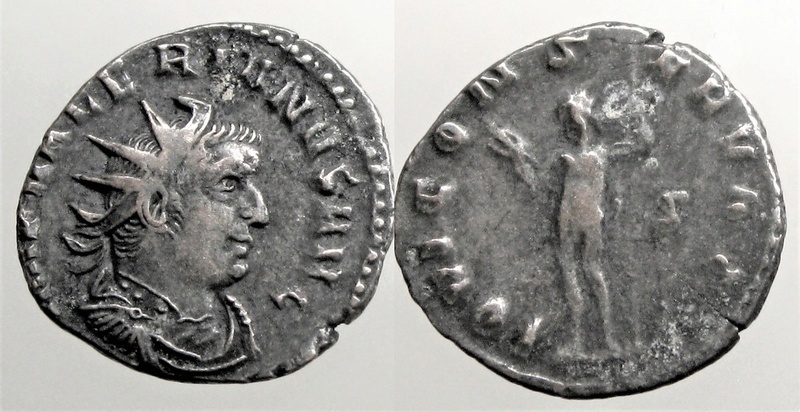 This is my new antoninianus. It's a IOVI CONSERVAT also mine, but the mint "S" is in the right field. Yes, It's not a detail of big importance, but I think that it's interesting... and it's also interesting the fact that the great number of this type of bust deals with the obverse "IOVI CONSERVAT" (on acsearch I found another piece).